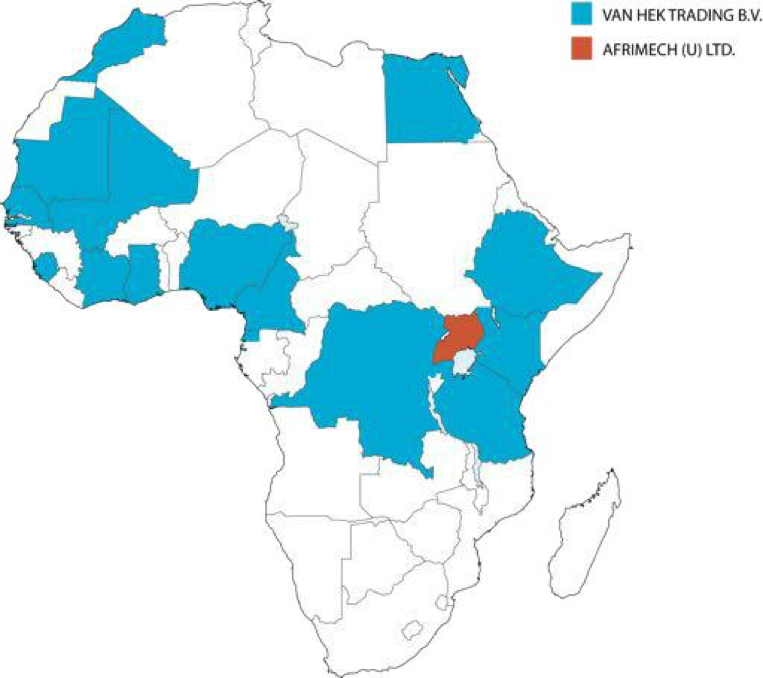 Afrimech was founded in 2012 by Mr. Ben Vietnieks of Australian citizenship and based in Kampala Uganda, and by Mr. Ernst van Hek of Dutch citizenship and based in the Netherlands. Both founders still own Afrimech. Mr. Vietnieks has 14 years of experience working in East Africa within the drilling industry and is owner and managing director of ADT Africa, an exploration drilling company heavily involved in the rapid growing mining industry. Mr van Hek has been in the construction equipment industry for over 30 years, having worked most his career as the managing director for the nr. 1 rack and pinion company AlimakHek, a global leader in its field. During that period Mr van Hek successfully built the company with sales companies worldwide and 3 production locations.